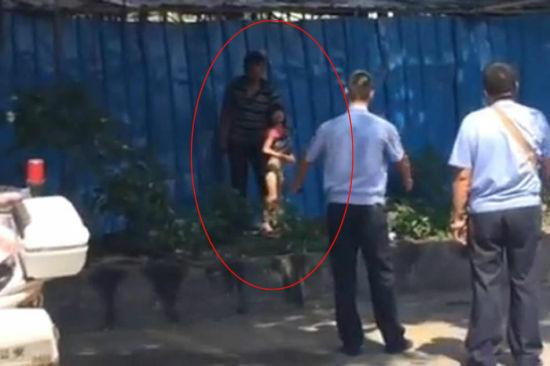 The man held a girl at the entrance of Tuhua Market confronting the police. 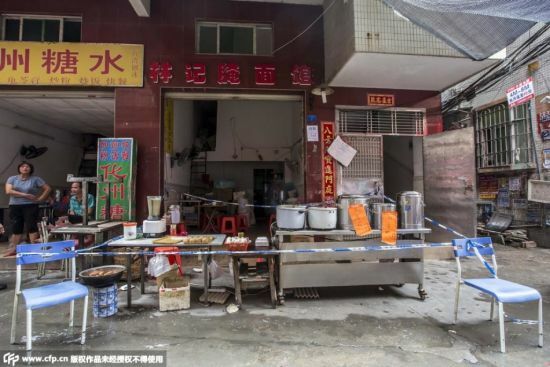 The restaurant where the incident happened was cordoned off by police. 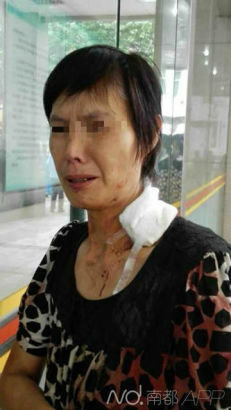 One of the children got injured by the knife-wielding man. 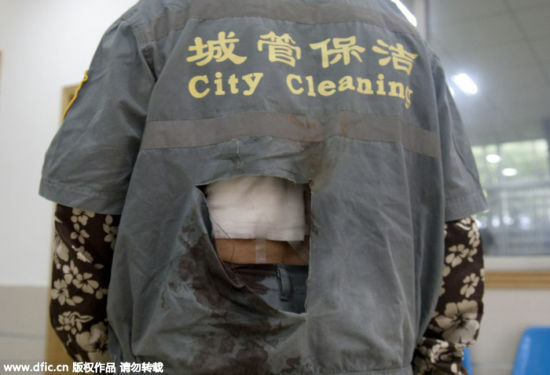 Ms.Xie was hacked on her back when she was sweeping the street. A resident got wounded on the neck by the man. 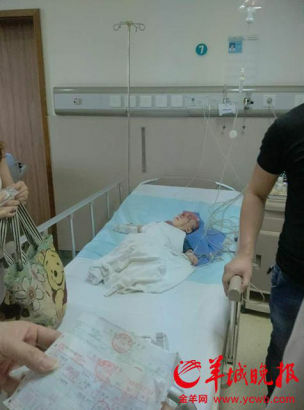 A middle-aged man attacked several people in Tuhua Market of Haizhu district, Guangzhou city in the morning of July 29, including three children who were all injured on the head, Guangzhou Daily reported. 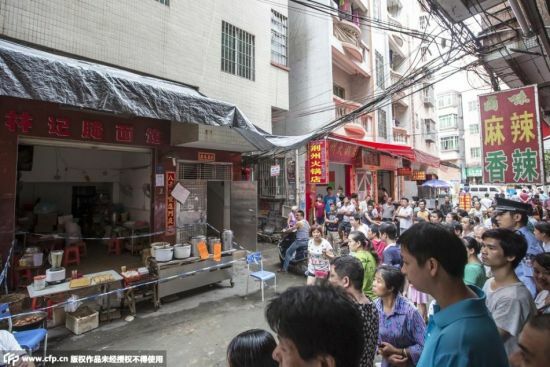 Around 9 o’clock in the morning, a man about 50 years old carved the female owner of a restaurant and an old woman with her grandson, before he hacked his way out, hurting at least five people. 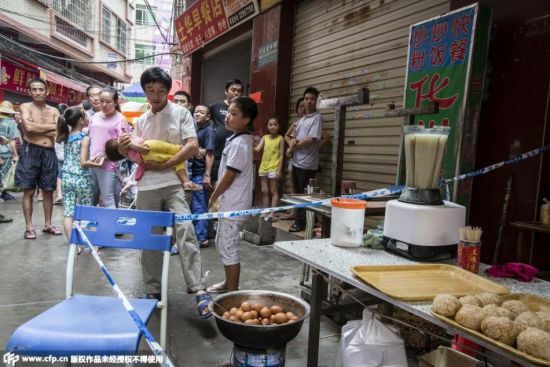 According to a video clip online, the man was held by police at the entrance of the Tuhua market, when he was holding a little girl in his left arm. “I heard him bawling on the street at about 8, but nobody spoke to him. I didn’t thought this would happen in just half an hour,” said a shop owner nearby. Witnesses said they had never seen the man in the area before, and they suspected that the man had mental problems. At least five people got injured, among whom three children got hacked on the head.